On this page, you will discover some of the best Plantar fasciitis home remedies to relieve the pain and inflammation, as well as learn the most common Plantar fasciitis symptoms and causes. If you are suffering from plantar fasciitis, then you should definitely learn about the common home treatments that you can possibly do on your own. Most importantly, you also need to know the possible symptoms that would confirm that you certainly have a plantar fasciitis. Having an illness in the foot could make you opt for a checkup session with an expert and even go for surgeries when recommended by the doctor. However, depending on your condition you do not have to always do this. For example, if you are having a plantar fasciitis, you could try these effective home remedies to relieve your foot pain. Before we talk about the plantar fasciitis home remedies, and how you can cure your own pain, let’s see what is it! What is plantar fasciitis? Plantar fasciitis is an annoying pain in your heel or the bottom of your feet. The pain can limit your movement to the farthest extent. Yes, you can still move. However, it would be very difficult for you to do so. It would also make you have second thoughts in moving even few inches. Plantar fasciitis is a common cause of the heel pain that you may be suffering, it involves the inflammation of the ligament that is connecting your heel bone to your toes (plantar fascia). 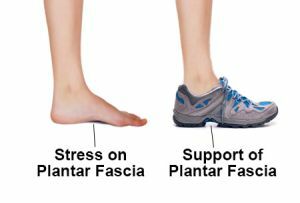 If you strain your plantar fascia, it would tend to get weak, swollen and inflamed which causes the pain or discomfort at the bottom of your foot when you walk or stand. Plantar fasciitis is a common condition among the people who are on their feet a lot like athletes or soldiers. As you move, the pain may decrease but it also may return back especially if you are standing for long periods of time. If you do experience some kind of a stabbing pain at the bottom of your foot just a few inches from your heel, then, your chances of having an illness is more inclined to plantar fasciitis than anything else. You will have to experience quite a painful stabbing when you walk first thing in the morning. Moreover, this can also be observed when you stand for too long after sitting for quite a time. Some people may describe this pain as dull, however, others do feel it as a sharp one. Actually, you may even feel a burning ache at the bottom of your boot that extends outward from your heels. You will have to treat this immediately because it may have started in just one foot but it does develop. Although the development of it is only gradual, there is still a chance that your other foot may get affected as well. And this happens especially when you ignore the pain and keep being busy doing other things than having it treated. Plantar fasciitis can happen in one foot or both feet. The main cause of plantar fasciitis is the straining of your plantar fascia. The more the strain, the more it gets to have tears. Those tears are the reason why you can feel extreme pain whenever you get to use your foot. What could be the situations wherein the straining of plantar fascia may happen? It could happen when you get to roll your foot too much inward when you walk. You may not be aware of it in the previous times, but now that you do, you would have to be careful with the way you walk. Be careful not to have exaggerated movements that could lead to an injury. Plantar fasciitis could also occur when you have high foot arches or even flat feet. As implied above, your plantar fascia is the ligament that supports the foot arch. However, if it gets more than it can actually handle, then the ligament would be strained resulting in plantar fasciitis pain. Walking or standing, and even running for long durations may also cause plantar fasciitis. This happens especially if you do it on non-smooth surfaces. You should always let your feet have a rest once in a while and do not over strain yourself because, at the end, it is you who gets to feel that pain. Wearing shoes that do not really fit well can also cause this pain. it would be best if you give it up and purchase different shoes that are more appropriate to the size of your feet. Remember that comfort comes before fashion. Now, let’s take a look at the different plantar fasciitis home remedies to help you relieve the foot pain. Remember: if you are having an extreme foot pain that doesn’t seem to go away even after trying these home remedies, then your condition may be severe and you should seek medical advice from your doctor. Plantar fasciitis pain relief starts within yourself. You will have to quit on the things that put too much strain on your feet. Try to limit the use of high-heels and don’t use footwear that does not fit you well. You will need to change your fashion statement if it comes down to it. You should buy shoes that provide support for your foot arch. Some of these shoes may look funny or weird but they will make a difference in the way you feel, most of them will have a built-in support for your heel and may also include a strap in the back to help keep the shoes on when you are walking or running. If you don’t like plantar fasciitis shoes, then using arch band supports is your best option not to mention that they are cheap aswell. These pads can fit inside your shoes meaning that you can wear your favorite shoes while having a good arch support. The tightness of your Achilles’ tendons (the band of tissue that connects calf muscles to your heel bone) can also be a factor of having plantar fasciitis. Therefore in order for you to have plantar fasciitis pain relief, you should have a regular foot stretching so that everything in the insides of your injured foot may loosen up. However, you have to be careful when you do this because aside from the fact that it truly hurts, it can also worsen your condition. Over straining your ligament while doing this could lead to a more serious injury. It is also essential for your plantar fasciitis pain relief to have a gentle foot massage. This could help your ligament and joints to somehow be relieved of the tension that may be happening among them. You have the choice of having a manual massage or an electrical one. Rest assured, this can help you to ease out the tension in your plantar fascia. 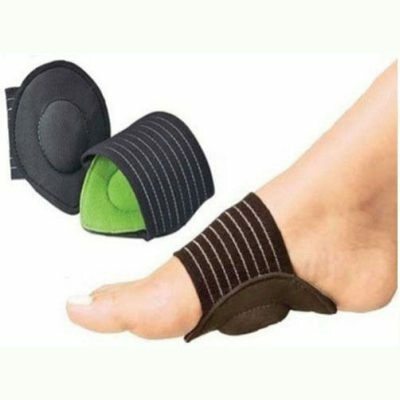 One of the easiest and effective foot massagers is the oval foot massager, it promotes blood circulation, eliminates foot tickles and relieves the foot pain. The oval foot massager promotes blood circulation, eliminates foot tickles and relieves the foot pain. 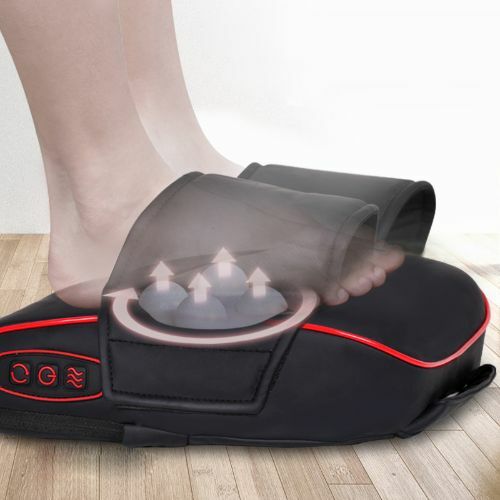 The Shiatsu electric foot massager is a powerful massager with a built-in heating that alleviates foot pain, accelerate muscle recovery, reduce heart rate aswell as promote better sleep. Start by stretching your toes up against a wall, keeping your arch and heel flat so the toes stretch. Hold for a count of 10 and repeat 3 or 4 times per day. This will stretch your plantar fascia. After doing that, roll a frozen water bottle under your foot arch for 10 minutes, that should relieve your plantar fasciitis pain. It is also important for you to give your feet a break. Not literal one, of course, but more of like a metaphorical one. You should have a break when your feet feel too strained after walking for long hours or for quite long distances. You should think of your feet more often because these carry your body weight, it shouldn’t be abused. It is also an effective plantar fasciitis pain relief if you put an ice on your heel. This is capable of reducing the inflammation that your heel area may have due to plantar fasciitis. Alternating baths using hot and cold water can definitely help too. You have to know that heat can make the evident symptoms worse than they actually are. So you have to contrast this with cold water at the end of your every bathing session. However, if you do not think that the ice can totally help in relieving your plantar fasciitis pain, then you should try using heat as a remedy. An example of this is by heating a pad that has been set on low. You can also try wearing night splints to relieve your plantar fasciitis pain. The night splint holds the foot with the toes pointed up, which applies a gentle stretch to the plantar fascia. It also helps in stretching the Achilles tendon at the back of the heel. 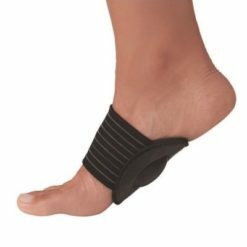 Wearing night splints for several months can gradually reduce plantar fasciitis symptoms. 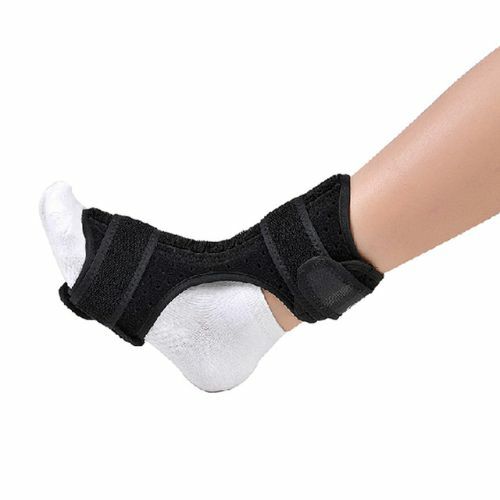 In regard to this matter, the Foot Drop Orthosis Night time Brace is great for relieving pain due to Plantar Fasciitis and Achilles Tendinitis while you sleep. Yes, what you thought of just as a kitchen thing and a taste enhancer can actually help you. This is considered to be one of the most effective plantar fasciitis home remedies. 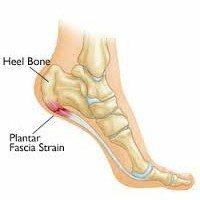 Plantar fasciitis is known to be caused by an inflammation of your plantar fascia due to over strain and other factors. Ginger is such an amazingly powerful anti-inflammatory special agent. Thus, you can definitely make use of the ginger in your kitchen to cure plantar fasciitis. Ginger has a lot of properties in itself that allow you to relieve the pain that you have in your heel and help you reduce inflammation. First, you have to wash your ginger and have it grated. Second, you have to prepare a cup and fill it with water. Afterward, you can just add a tablespoon of grated ginger to it. Third, heat it up and make it come into a definite boil. When it is boiled already, just leave it on there for quite a few minutes. This would cause the ginger to extract its natural properties that can be one of your plantar fasciitis home remedies. Fourth, you can then remove it from the stove and wait for approximately 10 minutes for it to steep for a while. Then you can drink it while it is still warm. You can do this for at least twice a day if you want to have immediate results. 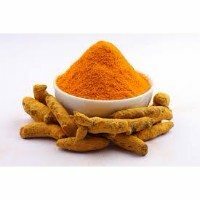 A turmeric is also a good plantar fasciitis home remedy. It has a property that is believed to be able to counter the inflammation that causes plantar fasciitis. Turmeric can help you curb the pain a bit to a degree less painful. First, prepare a glass of milk and heat it in your microwave. If you do not have a microwave, then you can definitely heat it on your stove. Second, add a teaspoon of turmeric to the warm milk, then mix them well and drink it up. You can also add a teaspoon of honey if you want to make it taste better. The most beneficial time for you to drink this turmeric milk mix is when you are about to sleep. You have to make a routine out of this. Prepare your milk with turmeric and possibly a drop of honey in it and drink it before you go to bed for the night. 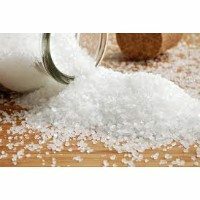 Epsom salt is also one of the best plantar fasciitis home remedies. It is definitely widely used for treating muscles pain. People who suffer from muscle strain often use Epsom salt to relieve their pain. You can mix it with water and use it for your bath. Epsom salt can help you relieve plantar fasciitis pain and reduce the inflammation that may have developed in your foot. Also, It can heal the strain in your plantar fascia. First, you have to prepare a small tub in which you are going to store the water. Second, fill that tub with warm water. You have to make sure that the water is not too warm because it may definitely scald your feet. Third, add three full tablespoons of Epsom salt into your warm water. Then mix it with water using your hand. To make sure that the salt has been mixed with the water well enough, you can soak your foot in it. You will need to keep your foot in the water for at least 15 minutes so that it would have enough time to absorb the healing powers of the Epsom salt solution. Repeat this process on a daily basis until such time when plantar fasciitis pain and foot inflammation start to disappear. Fish oil is definitely rich in Omega-3 as well as of eicosapentaenoic acid which is both vital for you to eliminate the pain and the inflammation, that’s why fish oil is an effective way to relieve plantar fasciitis pain. It can help you reduce the inflammation in your foot and decrease the stiffness of your muscles. Fish oil is considered a great natural pain reliever. First of all, you need to make sure that you have a balanced diet, and that you have no problems having fish oil for few days. Second, you should include any kind of fish that is classified to be a “cold-water” one like that of a tuna and salmon. Then you can cook it in any way you like but make sure that you do not use too much oil because your goal here is to extract the fish oil thus, you do not need to consume much of another kind of oil. Try to take 2-8 grams of fish oil daily, this natural pain reliever can take the place of ibuprofen to relieve plantar fasciitis pain and reduce inflammation. This kind of pepper is also beneficial such that it is among the best plantar fasciitis home remedies. It has a capsaicin which is a component that can relieve pain. It can help you heal your heel pain and treat plantar fasciitis symptoms such as inflammation and muscle stiffness in a short period of time. First, you need to fill a bucket with hot water. Second, you need to add only one teaspoon of cayenne pepper into the water. Keep away from it while it is hot, just wait few minutes for it to cool down a little bit since. Do not submerge your foot in it if it is burning hot as you may scald your foot or cause irritation. Third, after the water has cooled down, you can soak your feet in it for 10 to 15 minutes. Then you can wash your feet with a warm water to finish. You will need to repeat the same process for a few times per week until you feel that the plantar fasciitis pain and inflammation start to disappear. 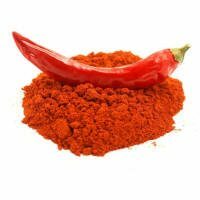 Please note that: You can not use cayenne pepper if your foot has an open cut or if you have sensitive skin as this could irritate your skin. If you happen to realize that in a later time and have soaked your foot in the warm water then you should try to wash it with a clean and cold water. These are the plantar fasciitis home remedies that you should consider.As you can see these are very simple, effective and less expensive ways that you can try at home to heal yourself without having to visit a clinic or spend alot of money on medications. If you liked this information, please share and leave a comment to let us know what do you think! Also, let us know which method has worked best for your plantar fasciitis condition. This entry was posted in foot health care and tagged foot pain, Home Remedies, plantar fascia, Plantar Fasciitis.